Bethanny Van Fossan has been a field instructor for BSW and MSW students since 2013. As a social and health program consultant, she promotes community engagement opportunities and has participated in roundtables on topics as diverse as domestic violence and foster parenting. She was a social worker at the Department of Child and Family Services for several years and also served as a health educator for the Piece County Health Department. 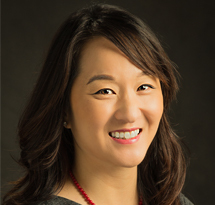 Van Fossan is active in Asian Adult Adoptees of Washington’s Adoptee Mentorship Program, where she developed a program for older adoptees that provides them with the opportunity to explore issues of race, adoption, identity and culture. She has also developed training programs for adult mentors and adoptive parents. A former English teacher in South Korea, Van Fossan spent several summers as a counselor and assistant director at the Holt International Camp, which provides summer camp for adoptees.